Save money while saving trees at the same time. Here is our guide to going paperless in your home office. In an increasingly digital age, it’s harder and harder to justify using paper for all your business-related tasks. Although completely eliminating paper may not be in the cards, even moving towards a partially paperless setup is beneficial. If you’re ready to make the switch to a paperless home office, we’re here to help. First, we’ll cover the benefits of making this change, followed by necessary tools, and step-by-step guidance for handling documents. Retrieving a digital file by entering a quick search is undeniably more efficient than rifling through a file cabinet. When you switch to a paperless home office, your documents can be easily organized via an electronic format. Your digital device will do the sorting for you, so you can save valuable time (and paper cuts). By keeping in touch with your clients via email, you’ll save on printing and postage expenses. Electronic communication is instant, unlike snail mail. By using a client email list, instead of mailing out paper documents, you can share important promotional information with your customer base instantly. Switching to a paperless office will save on the use of paper, of course, but it also comes with additional eco-friendly benefits. When you’re using your copier, fax machine, and printer less frequently, you’re consuming less power. This will result in a lower electricity bill for you and increased sustainability for the planet. Odds are, you don’t have unlimited space in your home office, so every spare inch of space is valuable. 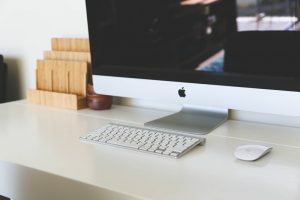 By moving most of your files to your computer or the cloud, you can seriously reduce the amount of clutter in your work area. This comes with the additional benefit of being able to easily find the paper documents you decide to keep. Online Statements: Opting for electronic statements from banks, utilities, and stockbrokers is an easy way to start going paperless. Most companies these days offer this option, and you should take advantage of it. Scanner: A scanner is an essential tool for turning physical documents into digital files. Make sure you choose one with Optical Character Recognition (OCR), as this lets you search for documents in your word processor. By getting this type of scanner, you can easily convert a filing cabinet of information into organized digital files. Paper Shredder: As soon as you scan and upload your important papers into your digital system, you’ll want to shred some of them. Anything with your address, full name, or other sensitive information should be destroyed. A quality paper shredder will eliminate privacy concerns. Filing Box: You’ll want to hold onto some of the documents in your office, just to be safe. For these remaining papers, get a fireproof filing box that you keep in a secure location. It’s a good idea to scan these documents, as well, just to be extra safe. Smart Pen: A smartpen allows you to digitize your notes and drawings while you create them and transfer them to your computer or smartphone. Your notes can be uploaded to online storage and become easily searchable. 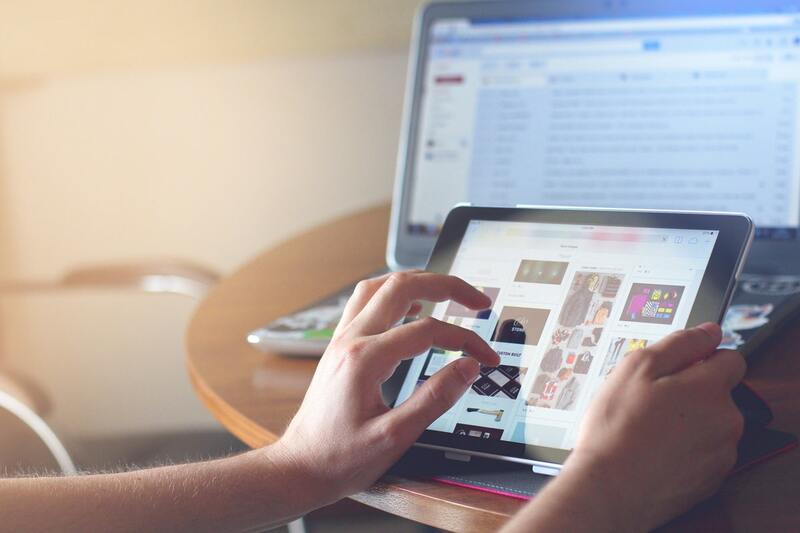 Now that you’re aware of the tools needed for a paperless home office, it’s time to get into the details of converting your files to digital format. We’ll also cover how to sort these documents for optimal organization and easy retrieval. There are three categories of documents to consider here. As soon as you deem a document unnecessary, you should permanently destroy it for security purposes. Skipping this step leaves you at a higher risk of identity theft. If you have a manageable amount of documents, you can shred them yourself in your home office. For larger amounts of paper, you can visit a shredding facility to ensure that your information is properly disposed of. Next, you’ll want to take care of documents that you only need a digital copy of. When you throw out an important paper document, it’s gone forever. But maintaining your files electronically ensures that you have multiple backup points. Scan the pages and then store them in the cloud, on your computer, and on a portable storage device. By keeping the information in multiple places, electronic storage is more secure than physical. For very important papers, such as mortgage documents or tax information, you’ll need to keep both digital and physical copies. While you might use an electronic accounting program, having just electronic records might not be enough. To be safe, scan your documents to your computer (and make sure they’re backed up), then store the papers in your fireproof file box. As an extra security measure, you can keep multiple physical copies in more than one location. 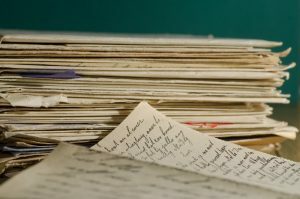 For vital records, such as a will, be sure to store a copy securely, but in a place that can be accessed quickly if needed. Which Documents Should You Keep Physical Copies of? You can switch to electronic records where possible, including bank and credit card statements. However, you’ll want to keep physical copies of some data. 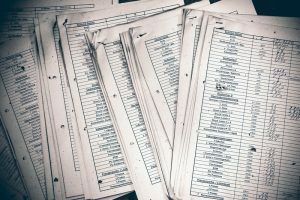 In addition to tax and mortgage documents, it’s a smart idea to save business-related receipts, as some companies require them for reimbursement. You’ll also want to hold onto insurance documents, so you can access them quickly in case of a power outage. You can think of file backup as insurance for your important business documents. While you can always reinstall software, some data is irreplaceable. Computer viruses, software upgrades, and natural disasters are all common causes for data loss. Using a service like Backblaze can protect you against the unexpected. Ready to Save Money with a Paperless Home Office? The benefits of switching to a paperless office don’t stop at more peace of mind and more efficient organization. You’ll also save money on the cost of paper, ink cartridges, and as mentioned, electricity. The shift towards digital record keeping increases every year and technology for data storage continues to improve. Make sure your important information is safely stored and you’ll soon be enjoying the benefits of paper reduction in your office.